Do I need a partner for Adult Ballroom and Latin class? Do I sign for a course for Adult Classes? How many do you have in a Beginners Ballroom Class? How many teachers are present in Ballroom Classes? Do I have to pay for a term? What is the minimum amount of people for a hen party? How long is a course for Ballroom and Latin American? How long has Anderson Dance Group been running? What footwear do Adults need? Do I have to do dance exams? Can I choose any style for a hen party? Do I pay a deposit for the hen party? How do I pay for hen party? Yes you do need a partner male or female. Yes you do the first week as a trial and then you sign to a 10/12 week course. Most classes have 10 – 14 couples. We normally have 2 teachers in attendance. When you first start you pay weekly, once completing one complete term, you will be invoiced. You pay by bank transfer/or cash. There is no minimum number for a hen party. But if there are less than 8 people you pay for 8. We are based at Hannakins Farm Community Centre, Rosebay Avenue, Billericay CM12 0SY. Where we have been established for over 21 years. Most courses are 8 to 12 weeks course. 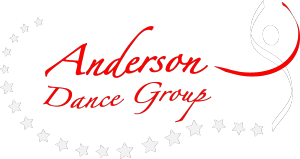 Anderson Dance Group has been established for over 21 years. When you first start to learn to dance it is recommended that men wear leather shoes(not trainers) and ladies where sensible height shoes. We are open Monday to Saturday 8.30 a.m. – 10 p.m. Yes you can have any style for a hen party. If it doesn’t appear on the list please ask. Yes a deposit has to be paid by bank transfer within one week of making booking. Waltz, Tango, Quickstep, Foxtrot, Viennese Waltz. Rumba, Samba, Jive, Cha Cha Cha, Paso Doble. Do you do a free trial lesson for children? Do you accept credit/debit card at class? Do all your staff have CRB? Do I have to have a uniform? Can I take part in dance competitions? How often do you have competitions? Do you do summer classes? I feel my child isn't being challenged in the classes he / she is in. What can I do about this? Am I allowed to stay with my toddler? If my child does not want to continue taking class, do I receive a refund? Can I buy a voucher for a present? Can I join a competition class? Yes for every genre we give a free trial lesson. Unfortunately we only accept cash or bank transfer for payments. Yes al our staff are CRB checked. After completion of one term, all children are required to wear an Anderson Dance Group vest top, which can be purchased from Mrs. Anderson. We ask that hair is tied back in a bun or pony tail. Ballroom/Latin shoes for Ballroom, bare feet for freestyle disco. Jazz shoes for rock n roll. 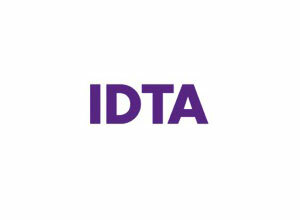 I.D.T.A. dance exams are available to everyone. These are not compulsory unless you are competing in IDTA Nationwide events are Blackpool. We take pupils from the age of 2 1/2 years. Yes you can take part in dance competitions. If you are doing freestyle competitions this is usually twice a month. Ballroom competitions are twice a year. We usually do a show / showcase at Christmas time usually in January when things are a bit quieter. We run with the school term which are usually 6 to 8 weeks. Yes we do run some summer classes. We ask that you send an email or telephone as we do not wish to waste time in class. We like parents to watch the first class so that you can see what you are paying for. We allow parents to stay at mini movers class until they are settled then we suggest you have a cup of coffee in the adjoining waiting area. Sorry you do not receive a refund. We offer vouchers for every genre of dance that we teach. You make the phone call to us we do the rest. We hold auditions for our freestyle teams once a year. Yes speak to a member of staff.